We worked with gradients today in our Photoshop Elements lesson. There are an infinite number of gradients you can create given the number of colors available and the variety of gradients within PSE. Colors and patterns can be gradated vertically, horizontally, in squares, or bullseyes, which is the gradient in commercial ombré fabric. You can see how helpful this would be in creating a quilt, because you can determine how shading will affect your composition. We practiced our gradients on an image we had already done in a previous lesson. 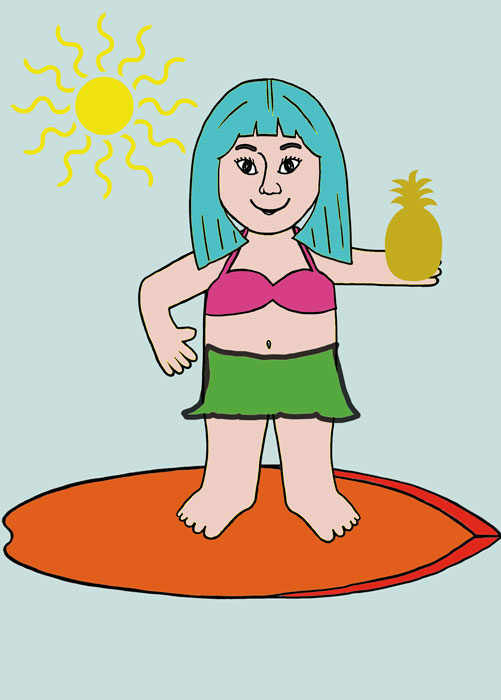 Here’s my original Surfer Sally. 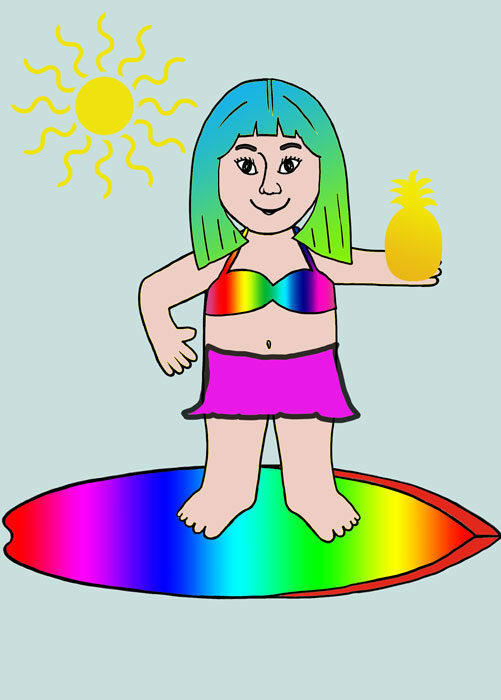 I changed the orange in the surfboard to a rainbow gradient. Then I matched her top with the same rainbow gradient and changed the color of her skirt to match the hot pink in both. Next I replaced the flat gold of the pineapple with an orange/yellow combination for more realism. And because she’s a little edgier I gave her a blue/green hair color. And while I used the saturated colors, you can change the opacity to make them lighter or more transparent.